Henning studied law in Germany and in France and holds a doctoral degree from the University of Hamburg he obtained for a thesis on European Economic law. Furthermore he holds a masters degree. During his legal clerkship he worked with a major international law firm and the European Commission (DG Markt). 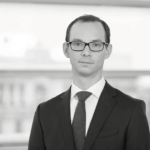 Before joining the Riga office of bnt attorneys in CEE in 2015, he worked for a mid-sized German law firm with a focus on construction and insurance law. His expertise covers international trade and customs law, construction law, day-to-day corporate law as well international and EU regulatory affairs. He is both admitted to the German and the Latvian bar. Henning is the author of various publications and a frequent lecturer in academics (Riga Graduate School of Law) and in business (Chambers of Commerce).